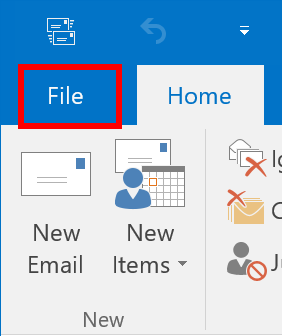 Click on the File tab in the upper-left corner of the main Outlook window. The exact steps you need to take are different, based on the section in which the add-in is listed. Please carefully follow the instructions below. If the add-in is not listed in any of the three sections, reinstall the add-in and restart Outlook. If you still do not see it, go back to the beginning of this guide. If the add-in is listed in the Inactive section, go to enable inactive add-in. If the add-in is listed in the Disabled section, got to enable disabled add-in.